يشكل Village Family Motor Inn بموقعه الممتاز في لاونسيستون نقطة انطلاق جيدة لاستكشاف هذه المدينة النابضة بالحياة. يقع الفندق على بعد 3.5 km من مركز المدينة، ويؤمن الوصول إلى أهم مراكز المدينة. كما يمكن الوصول بسهولة إلى جون كاثوليك, Design Centre Tasmania, كاتاراكت جورج شيرلفت. كما يقدم Village Family Motor Inn الكثير من الخدمات لإغناء رحلتك في لاونسيستون. يقدم هذا الفندق العديد من الخدمات الكفيلة بإرضاء أكثر الضيوف تطلباً. استمتع بوسائل الراحة الراقية في الغرف أثناء إقامتك هنا. بعض الغرف تتضمن تلفزيون بشاشة مسطحة, اتصال لاسلكي بالإنترنت, اتصال لاسلكي بشبكة الإنترنت (مجاني), غرف لغير المدخنين, تدفئة لمساعدتك على استعادة طاقتك بعد يوم طويل. يقدم الفندق العديد من الفرص للاستجمام كمثل ساونا, حمام سباحة داخلي, سبا. يشكل Village Family Motor Inn بخدماته الراقية وموقعه الممتاز، قاعدة مثالية للاستمتاع بإقامتك في لاونسيستون. يُرجى العلم بتوافر مهود للأطفال لقاء رسم إضافي. ويُدفع هذا الرسم مباشرةً للعقار عند تسجيل الوصول. Thoughely enjoyed our stay here, comfortable rooms clean and spacious. Heated pool and Spa, which were nice to enjoy after a day of traveling. Hosts Pam and Chris made us especially welcomed. Great wood fired pizzas with a glass of wine. over looking Tamar Valley, will recommend to friends and family. Great that they have children stay for free. From the moment we arrived we were made to feel at home. The staff went out of their way for us! The accomodation was perfect, extremely clean and comfortable. The grounds of the hotel were impeccable. Lovely continental breakfast was included. Their wood fire pizzas were better than I've had in Italy!! Great cosy bar next to restaurant. Couldn't recommend this place highly enough!!! the motel was convenently located a bit outside Launceston on our way to the Craddle Mountain. Service was very nice. Room was simple but clean. The included breakfast was basic but sufficient. I would definitely stop there should I go back to Launceston. An older place and could be said rooms a bit dated but who cares. Larger than normal room, clean and tidy, good outlook over the hills, what else could one want. On a hill so anyone with walking difficulties would need to look at the units near the top. Heated indoor pool that looked good but not tried, kids play room and outdoor play area. Pleasant dining area. Would stay again. It is good value for money. The rooms are clean and the bed comfy. The complimentary breakfast is a plus. The two gentlemen were very accommodating and polite but the rooms are very outdated and a little gloomy. The walls are thin enough that we could hear a party going on in the next room from 4 - 5 a.m. with really bad language involved. Not so good for our Grandson. Also, were not advised that the restaurant would be closed for a private function on the night, until we were there and then had problems finding some place to get a meal. I was satisfied with the quality of the accomodations at the Motor Inn. House was neat and well equipped and the owners gave us directions for an alternative route to Cataract Gorge! Highly recommended! I enjoyed my stay . Rooms good size only downfall is the old inground smell of old smoke of years past and very old hard beds. The towels new white fluffy and wondwrfully soft . Hit water amazing . Overall good value for money In a friendly and inviting environment . 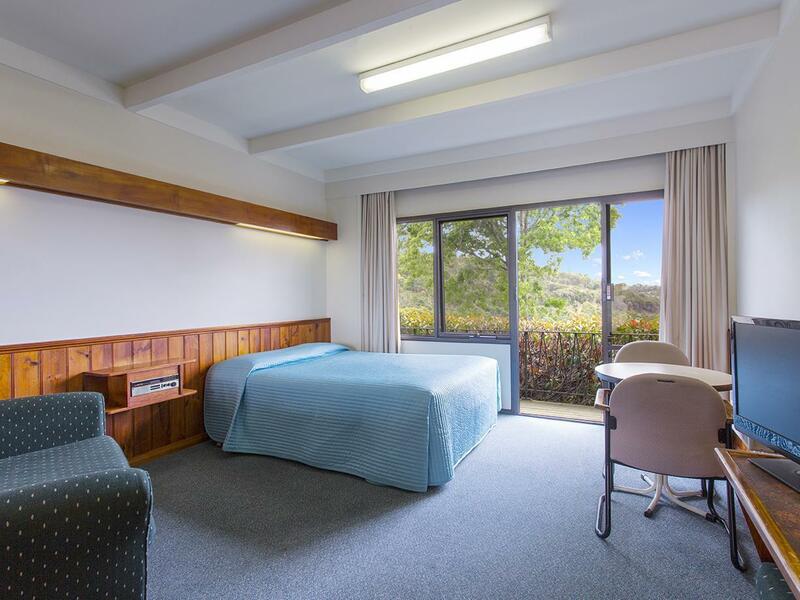 The rooms at the Village family motor inn are fairly simple but good value for money. 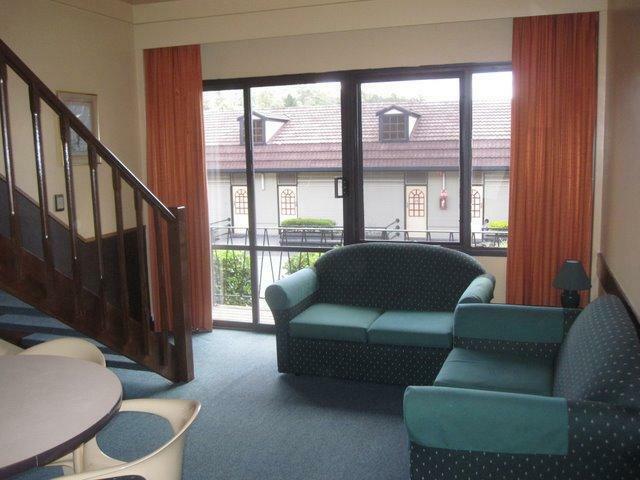 All rooms have a balcony, most with a great view. the hotel is not far from the city, the staff are friendly and accommodating and the hotel has great facilities. Food, location did I mention food!! I loved the fact I was only 10 mins from everything. Played quite a few golf courses, ate at a couple of restaurants although the food at the Village was incredible. I was impressed and enjoyed how friendly the Launceston locals were. I would live there!! We booked the motel for a room for 3 people for 2 nights. Overall it was a great stay just that the room is a little bit old. Breakfast was included and the rate is reasonable. We have free WiFi access to the Internet, and parking right outside our room. Balcony outside the room for a great view of Launceston. Staff was friendly and we are happy with the stay. It would be better if Microwave oven is available in the room. Free breakfast provided though it is only cereals, toast and coffee. Good enough to start the day off. Free wifi but only limited to 300Mb but good enough to check emails and whatsapps. Access to spas and jacuzzi is free. Good parking lots for cars. Receptionist is helpful and friendly. Only a short drive from airport, was not difficult to locate even for a foreigner like us. The receiption staff were friendly and helpful. Anything we asked, they would explain in details. We stayed at a two storey self-contained rooms with fully equipped kitchen and a balcony. A large sitting and dinning room which gave us plenty spaces to move around. Our two bed rooms were spacious and comfortable. The swimming pool and spa were considered a litle bit small. A pleasant stay at this motel, would come back and recommand to friends. 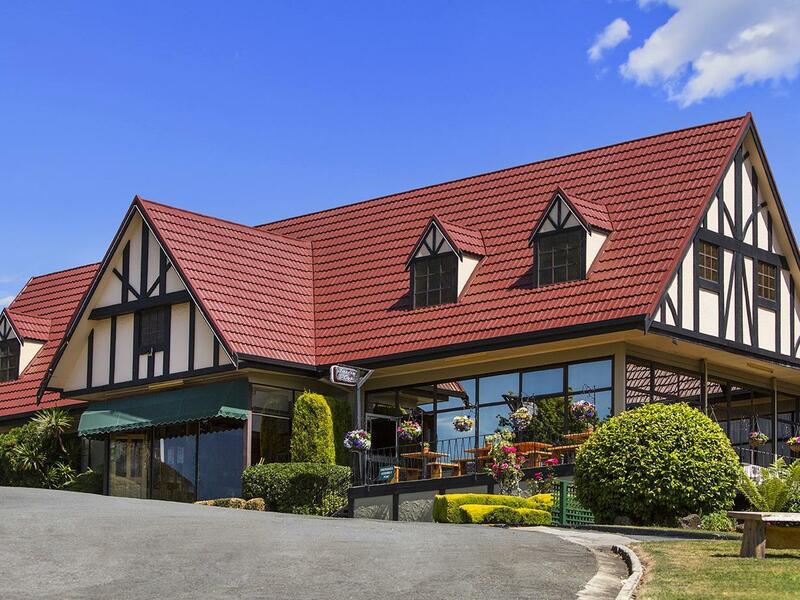 this inn has got heated swimming pool and also family jacuzzi, which is very rarely offered by other inns. the price is affordable. the rooms need to be upgraded as the bathroom lights were not functioning on the second day. it has got a cosy bar, spacious dining and breakfast area. the outside patio has got a magnificent view of the valleys and hills. Walking into the rooms at the Village Motor Inn is a little step backwards in time but in a great way. Beautifully decorated wooden cabins with really clean and cosy 70's decor. The place had fantastic facilities, including an in-house bar (nice & cheap) and a pool which looked very clean. (I unfortunately arrived too late to try it out) The rooms themselves were really spacious and comfortable, a nice big double bed with lots of blankets and a great view from the small adjoining balcony. A full size mirror was a nice touch too. The shower was good and powerful and the owner/manager (from Liverpool) was really friendly and up for a chat and he made our stay. Loved this place would definitely recommend. We stayed here for one night at the end of our 5 day holiday around tasmania and found the location was perfect as it was close to the airport. The checkin was very smooth and we were advised that there is even free wifi! the room was basic but kept tidy and had a lovely view. Overal, a great value for money place to stay. we only booked the room only 2 hour before arrival with a great deal on agoda. the reception was exceptionally kind and friendly. the hotel is equipped with a swinmming pool, which was a bit like an in-house pool, but it was an experience. 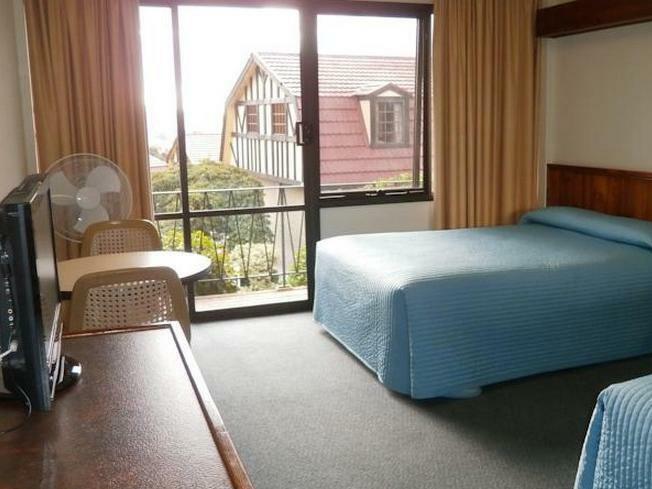 the room is ordinary, perhaps 2 out of 5 marks, could do a bit with refurbishment. otherwise, our stay was quite pleasant and comfortable. nice hotel, friendly staff, large room, modern, great views. needs airconditioning so windows can closed to reduce traffic noise for sleeping. there is a heavy tfaffic road nearby in the trees but the sound travels. good breeze with windows and front door open. can be be difficult turn turn into in peak traffic.